WASHINGTON – The American Action Network (@AAN) today launched the first stage of a six-figure campaign pushing to remove Ilhan Omar from the House Committee on Foreign Affairs. Digital ads will run in four districts, calling on these Members of Congress to support Rep. Ilhan Omar’s (D-MN) removal: Dean Philips (D-MN), Haley Stevens (D-MI), Tom Malinowski (D-NJ) and Abigail Spanberger (D-VA). “These members promised voters independent voices in Congress. But, sadly, they have been muted when it comes to calling Ilhan Omar to account for her anti-Semitic tropes. Omar’s anti-Semitism has no place on the Foreign Affairs Committee and they should say so,” said AAN Chairman and former Senator (R-MN) Norm Coleman. Watch the Phillips ad here. VO: Representative Ilhan Omar keeps hurling anti-Semitic slurs. The latest? That Jews aren’t loyal to America. 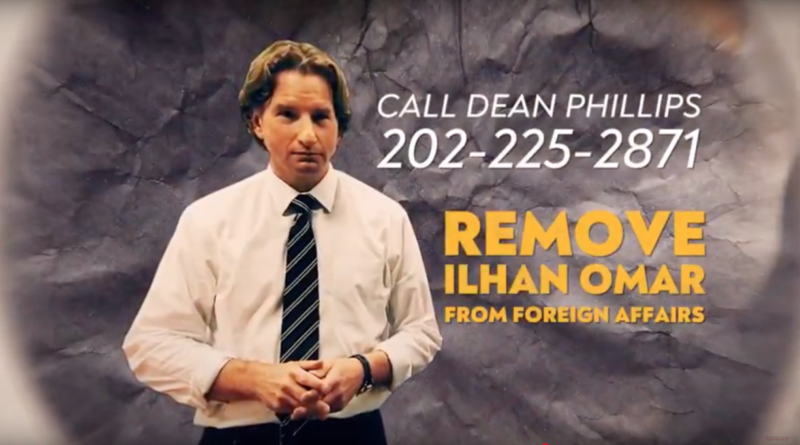 And what’s Congressman Dean Phillips doing about it? Barely anything. He hesitated to condemn Omar even though he says she’s one of the party leaders. And Omar is still on the powerful Foreign Affairs Committee. Call Dean Phillips. Tell him to support removing Ilhan Omar from foreign affairs. It’s time to stand up to the hate. Watch the Stevens ad here. And what’s Congresswoman Haley Stevens doing about it? Barely anything. lhan Omar is still on the powerful Foreign Affairs Committee. And Congresswoman Haley Stevens won’t call for her removal. Tell her to support removing Ilhan Omar from the Foreign Affairs Committee. It’s time to stand up to hate. Watch the Malinowski ad here. And what’s Congressman Tom Malinowski doing about it? Barely anything. Ilhan Omar is still on the powerful Foreign Affairs Committee. And Congressman Tom Malinowski won’t call for her removal. Tell him to support removing Ilhan Omar from the Foreign Affairs Committee. Watch the Spanberger ad here. And what’s Congresswoman Abigial Spanberger doing about it? Barely anything. And Congresswoman Abigial Spanberger won’t call for her removal.